Our Passion for what we do is evident in how we Deliver. Scotlynn Sweetpac Growers is “North America’s Farm Stand”, with a multitude of farms across several growing regions in two different countries we are able to offer the freshest, best tasting vegetables. High quality, consistent supply is just one of the key pieces to our success. We strive to exceed your expectations when it comes to service. Nothing is more important to us than our relationships and partnerships that we have earned with our customers. Delivering great produce backed by great service is our mission. Our produce sales team is anxious to assist you, get in touch with us today! What started as a small family farm in the 90’s has grown into one of Ontario’s largest farming operations. 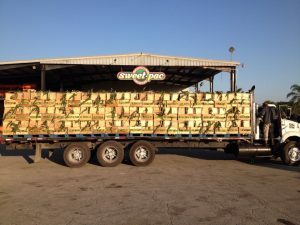 With a focus on the summer staples of sweet corn and watermelon, Sweetpac Growers expansion into pumpkins and asparagus has driven our acreage grow exponentially over the years. 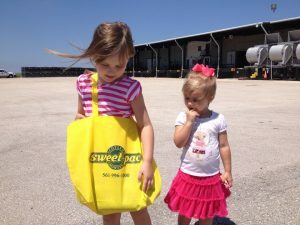 In 2012, Sweetpac Growers opened the doors in South Florida and in South Georgia. The U.S. division is headquartered in Belle Glade, Florida. Specializing in the Florida winter vegetables – sweet corn, green beans, cabbage, leafy greens and watermelon. Increasing acreage of existing commodities as well as investing in new ones such as Asparagus. State of the art equipment on the farm and at our facilities separates Sweetpac from the competition. Food Safety starts right at the farm and is constantly monitored at the harvesting level, packing house operations and finished with safe transportation. Our food safety team consists of growers as well as all of our employees and management. We are proud of our food safe culture that focuses on the best practices at all levels of production. Our priority is fresh, safe and healthy produce. All of our farms, processing and storage facilities are third party audited by Primus Labs and GFTC. Ready to do business? Contact Us TODAY!